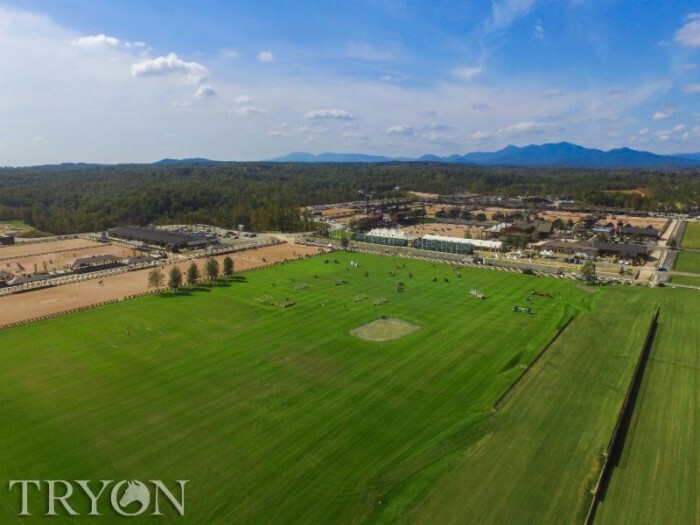 Tryon Internation Equestrian Center (TIEC) has a grass complex that is receiving new reviews about outstanding turf from riders across the country. The Grass Complex at Tryon International Equestrian Center offers the latest in turf technology. 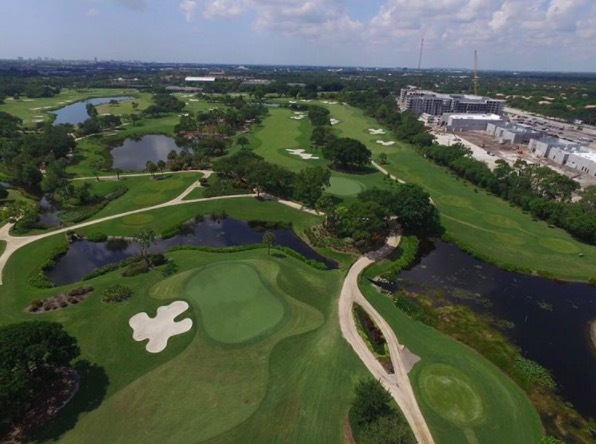 TIEC has a hybrid Bermuda grass called TifTuf Turf, which requires 38% less water irrigation, provides longer growing sustainability and season, as well as an ability to “repair” itself more quickly than traditional grasses. The entirety of the field also has been grown using a proprietary organic material from Mirimichi Green. Mirimichi Green’s products contribute to the thickness and longevity of the turf, but most importantly, the reduction of compaction in the soil. The TifTuf Turf used across the field is developed with ESI international footing surface of specialized sands, organic materials, and synthetic fiber installed on top of a six-inch high drainage system. Spanning more than 12-acres, the Grass Complex has hosted both international and national show jumping classes, as well as international and national hunter derby competitions, and even portions of the cross-country phase of eventing during the 2016 USEA American Eventing Championships. Read more about what the TIEC competitors are saying about the Grass Complex. Successful growing starts from the ground and works it’s way up to the plant. Making sure you have the right inputs is absolutely necessary. Here’s how to know what to look for. Healthy soil will aid an ecosystem of beneficial micro-organisms and nutrients to feed your plants. The first step you should always take is to make sure your soil is optimized to grow your plants. But how can you tell? You can test your soil with a home testing kit that will tell you pH and nutrient levels. Chances are, you’ll need to amend your soil. The soil is your first basic ingredient for a garden. Your current soil is likely lacking in nutrients and components needed for a healthy, prosperous garden. Adding garden soil will solve that problem. Garden soils are great for a wide range of plants and gardens, including lawns, flowers, herbs, vegetable, and fruits. Proven garden soils are packed with elements that promote a healthy soil make up. 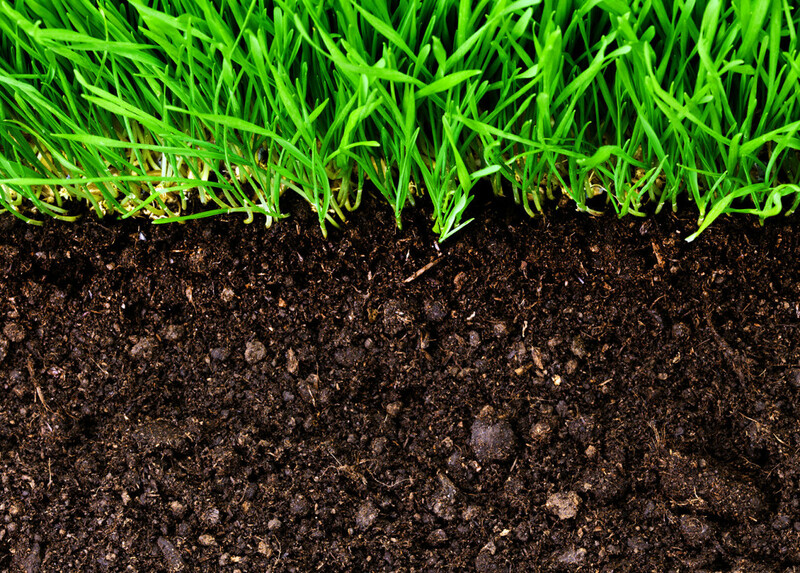 Specialized garden soils can soften hard clay, improve drainage, or buffer the pH. 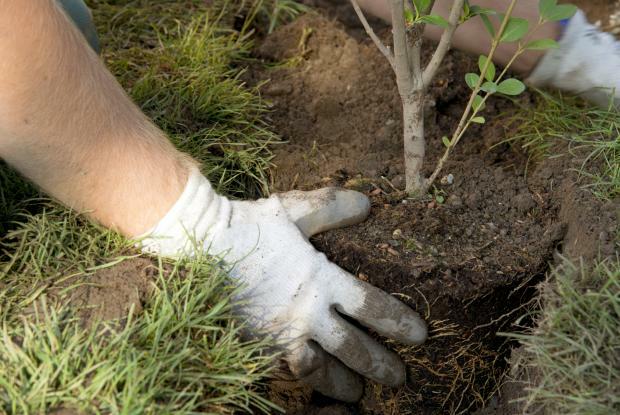 When planting a shrub, bush, or tree, you will probably need to improve the soil in the planting hole. Just remember, planting mix is meant to be a soil amendment, not a soil replacement. Planting mixes will improve the soil structure around your new plant, getting it off to a successful start. Plants that grow in pots or raised beds have different needs than plants that grow in the ground. That’s why it is important to always use a potting mix for your pots and raised beds. This is different than a garden soil or planting mix. Potting and raised bed mixes contain fibers like perlite, rice hulls, and coconut fibers (coir) to encourage proper drainage and water retention. You don’t want to use just any type of mulch. We recommend organic mulch, made from organic matter with no chemicals or harmful synthetic ingredients that can leach into the ground. A layer of organic mulch can help to reduce watering needs, as well as, help keep the soil cool, make it harder for weeds to grow and can enhance the look of a garden. Also, when organic mulch begins to decompose, it will add even more organic matter to the soil. Not everyone is lucky enough to have fertile soil. Your current soil is most likely deficient in nutrients or may have imbalanced pH levels. Fertilizers are a simple way to improve your soil’s fertility and provide nutrients to your plants and lawn. It is very important to choose your fertilizers carefully. Some fertilizers can cause more harm than good from the chemicals and ingredients it is composed of. Chemical fertilizers will leech your soil of beneficial organic matter, micro-organisms, and nutrients required for a healthy, sustainable growth. Organic fertilizers or organic based fertilizers are made from natural materials that enrich your soil with nutrients, making it a more fertile and putting nutrients back into the soil for your plants to grow. 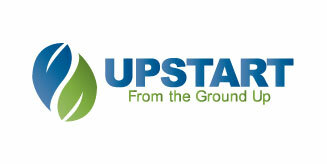 Learn more about our proven soil products. Choosing the right organic gardening products. When selecting soil or soil additives, it’s not enough to simply look for the word “organic” on the package. Make sure you also look carefully at the ingredients on the label or in the Guaranteed Analysis. Many products that claim to be organic can still have harmful ingredients in the mix. Look for products that have been verified by an accredited, independent organization that meets the USDA National Organic Program standards. The Organic Materials Review Institute (OMRI) is one agency with such credentials. That’s one way to know the product you’re buying is proven organic, down the last ingredient. A common mistake in landscaping is improper plant placement. People often do not take into consideration the proper sunlight and exposure for the plants they have chosen to plant. 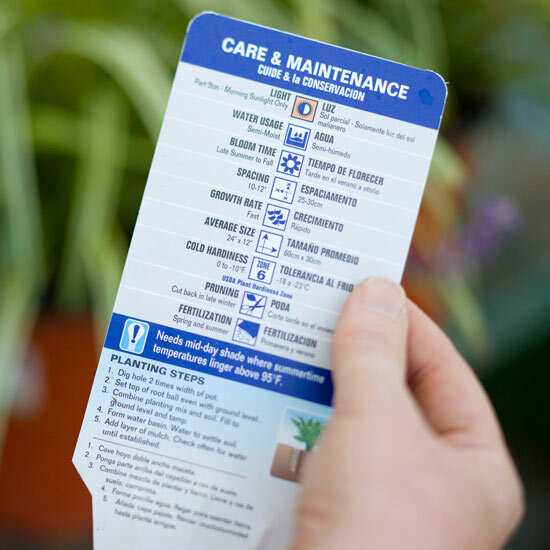 All of the plant’s needs for growth are on the tag in the plant holder that you get when you buy the plant or you can check Plant Finder for plant requirements. If you are planting a tree, you need to keep in mind how big the tree could get and how much space it is going to need. 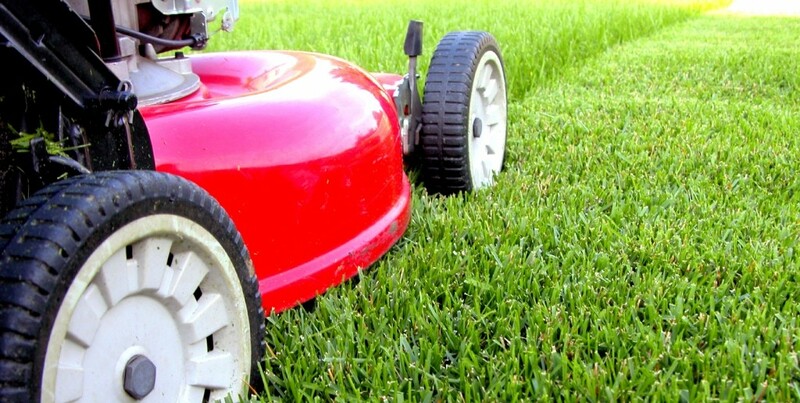 It’s a common myth that cutting the grass shorter means you get to mow it less often. By cutting your lawn shorter, you can cause more harm than good. Keeping the lawn too short could result in bare patches which could make it susceptible to diseases and insects. The key to a healthy lawn is to cut different lengths depending on the season. During the summer, the lawn should be a bit longer. This will give the lawn a little more shade and the water doesn’t evaporate so quickly. During the winter, cut it a little bit shorter so that the sunlight can reach the soil. There are two ways that fertilizing can be a big mistake. The first one is not using fertilizer at all. The other is fertilizing too often. Ask someone at your garden center or distributor to recommend a proper fertilizer for your yard and plants. A great fertilizer will provide nutrients that your lawn and plants need. You should never do so in the bright sun. It’s also a good idea to mix in fertilizer when planting new plants. If you aren’t into inviting wildlife into your yard you need to consider what kind of plants you are planting and what animals or garden pests might be around. Before you plant in your garden, think about what pests and critters you have in the area. 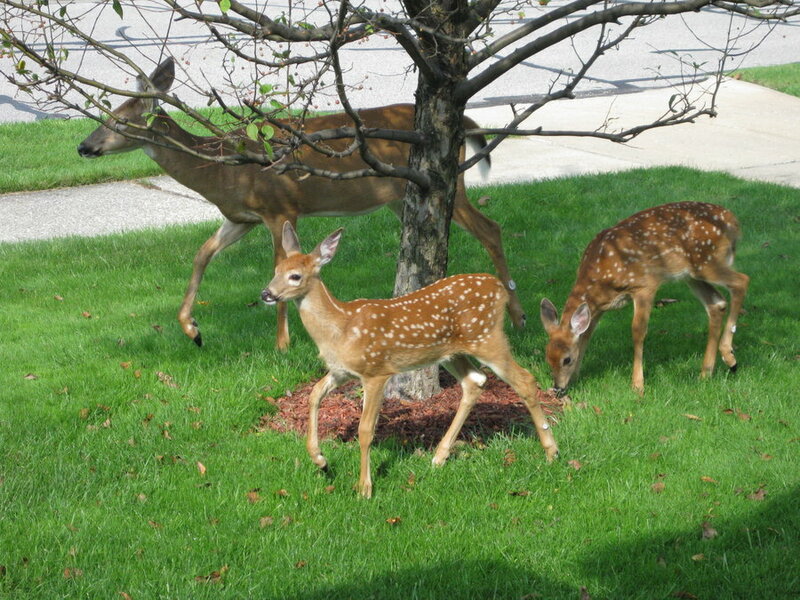 For example, pretty flowering plants can attract deer, so throw in some bitter-tasting ones in the mix to deter them. Once they get a taste of the bitter flowers, they are likely to stop coming around. If there are rabbits around, you may need to form shelter your garden bed by building a small fence. If you want to invite wildlife, here’s a list to attract a variety of species. Pruning can be is more than just chopping off limbs and twigs, it’s a technique. A bad pruning job can be very bad the tree or shrub. Every plant has a different pruning process. 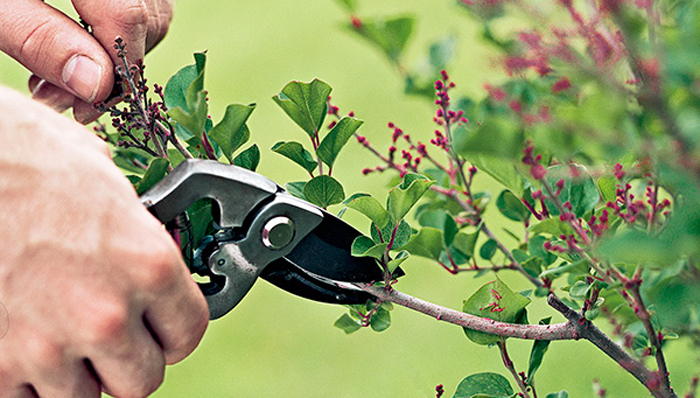 Fall and winter are usually some of the best times to prune, but research each plant in your yard to make sure. If you aren’t sure you are doing it right, consult a professional. A lot of homeowners make the mistake of overwatering or watering during the wrong part of the day. On average, most lawns just need an inch of a water per week. The best time of day to water the lawn (and usually any other type of plant) is in the early morning so it has all day to be absorbed. 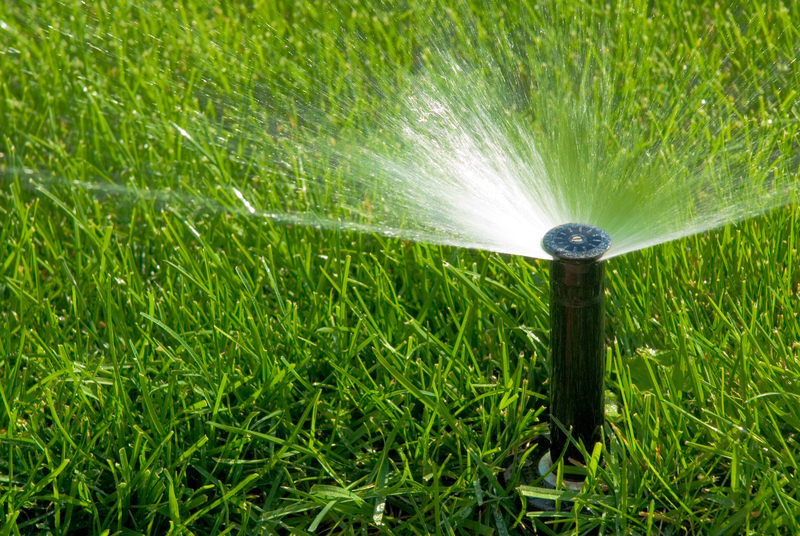 You can buy a sprinkler with an automatic timer to reduce water waste, or even put in an irrigation system. If you water during mid-day, the water will end up evaporating too quickly. It’s often thought that a newly planted tree needs to have stakes for support. 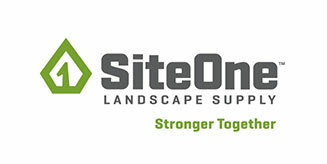 This used to be a landscape industry standard but is now known to cause problems. 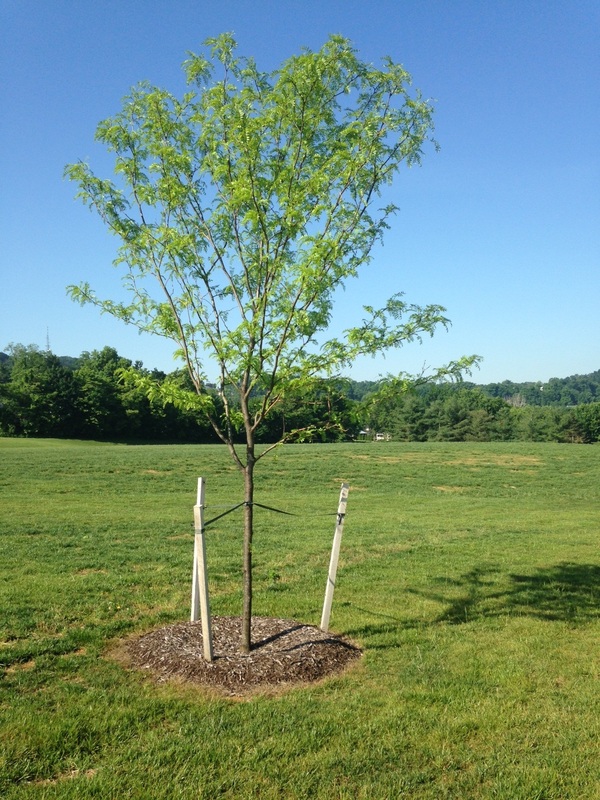 Staking a tree can hinder its development and growth. It’s best to avoid staking unless the new tree is located in a windy area or on a sloped landscape. Not having a stake to rely upon on will allow the development of stronger and more stable roots. If a newly planted tree starts off with stakes for support, once the stakes are removed, the health of the tree could fail. The diffused rays of the sun are not power­ful enough to cause burning. If it were the case that water droplets burned leaves, farmers would encounter huge losses after each daytime rainstorm. In fact, lawn care professionals often cool turf by spritzing water over the foliage during the hottest part of the day. The only time this may be an issue is if you are doing a foliar spray with a fertilizer during mid-day. The fertilizer sitting on the leaves could then cause burning from the sun. Alway read the full label before applying a fertilizer and follow the directions. 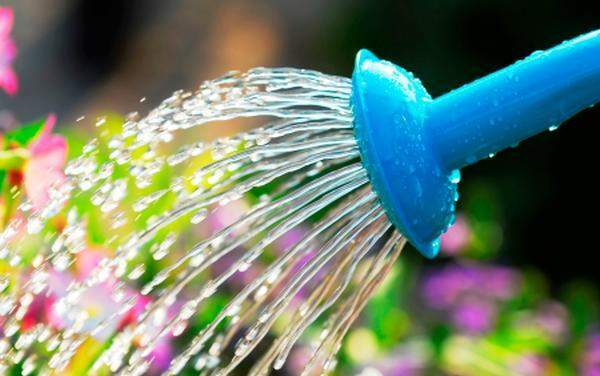 The best time to water most garden plants is early in the morning because of higher municipal water pressure, a lower evaporation rate, and the potential to reduce foliar diseases. But if you are left with no other choice, watering midday will not harm your plants. This myth can actually make your soil worse! By adding sand to clay soil will turn the clay soil into a very hard, mortarlike substance. The best solution to break up clay soil is to use a soil amendment. It will help loosen heavy soils because it is light in composition and also improves nutrient quality. 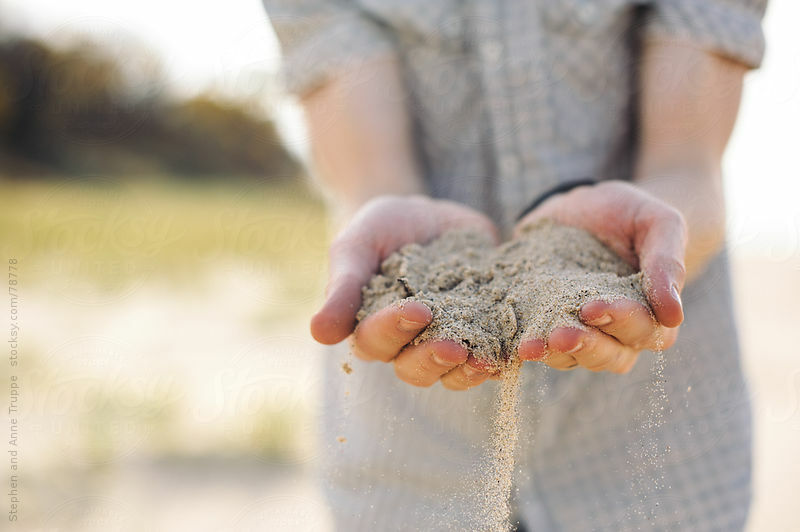 Sand can improve a clay soil, but it must be added until it makes up most of the mineral composition of the soil. Then it’s not clay soil; it is sandy soil. A planting hole should be twice as wide as the root-ball but not twice as deep. By doing so, you will encourage the roots of a plant to grow out. This will create stability and allows the plant to readily find water and nutrients. In order to make sure that the root-ball is at the correct depth is to have the top roots parallel with the soil surface and then apply 2 inches of mulch over them for a protective cover. While drought-tolerant plants need less water than other plants, they still need to be watered occasionally. 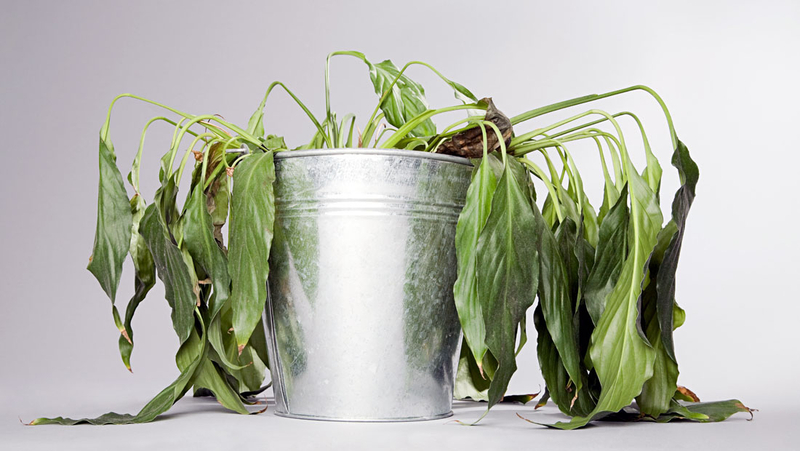 The best way to know if your plant needs watering is to feel if the soil around the plant is dry. If the has little or no moisture, water it. Young plants are very susceptible to drought because their roots shorter and smaller and are getting established. Be vigilant about keeping the soil slightly moist, but not soggy. Coffee grounds are acidic and mixing it into the soil can affect pH. 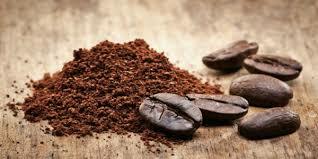 Fresh coffee grounds restrain plant growth because it can tie up nitrogen in the soil as it decomposes. To lower your soil’s pH without causing a nitrogen deficiency or other nutrient deficiencies, purchase a sulfur-based soil acidifier (available at garden centers) and amend the soil by following the package instructions. Professional arborists gave up the practice of painting tree wounds and pruning cuts along time ago. There is little evidence that pruning tar or any other compound will prevent disease or insects from entering tree wounds. 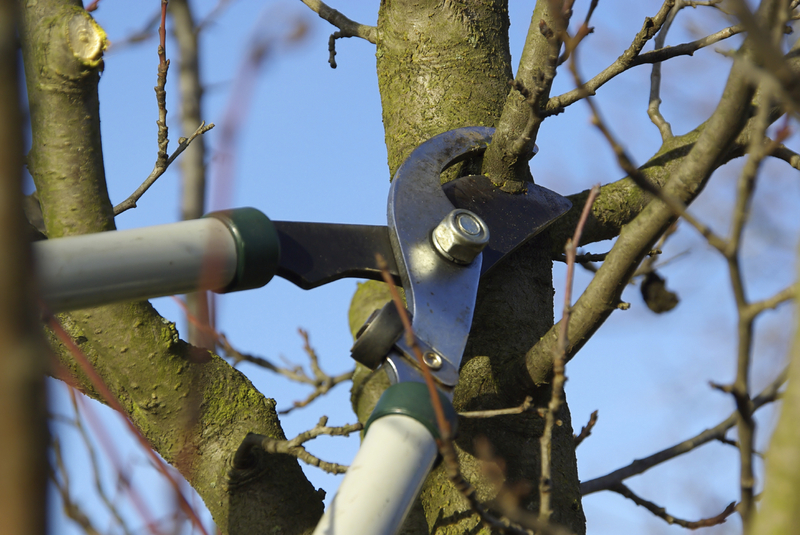 Research suggests that painting the pruning cuts actually slows the tree’s natural healing process of sealing cuts with a tough layer of “woundwood.” The best ways to avoid damaging your trees is to make clean cuts with proper pruning tools and prune during late winter when diseases and insects are dormant. 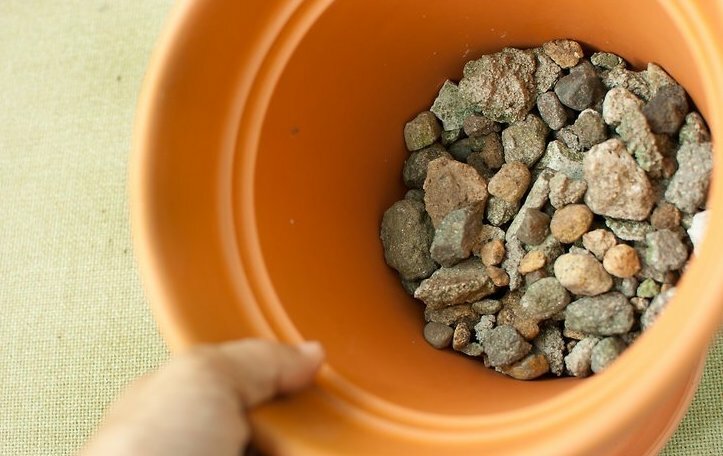 Instead of preventing root rot, adding gravel to container plants will make it more likely to occur. Water is naturally pulled down through the container by gravity and then the water builds up near the drainage hole. A layer of gravel at the pot’s base serves as the drainage hole and collects water in the same way. So instead of preventing roots from sitting in water at the container’s base, the gravel simply moves the pool of water higher up the pot. The best way to guarantee proper drainage is to use a potting soil made that contains some coarse materials. By eliminating these myths from your garden practices, your garden will be more sucessful and healthy. Wildlife can help bring your garden to life. Butterflies, birds, and bees entertain us but they also need us to be able to thrive in the local environment. Planting a variety of flowers, trees and shrubs on your property will offer food and shelter to encourage the growth of wildlife. Native plants are plants that naturally occur in the area where you live and are the best for birds and other wildlife. Native plants provide nectar for hummingbirds, butterflies, and bees. Plants provide yummy seeds and fruit for birds and a safe place to nest. Native plants are also a vital part of the ecosystem because native insects feed on native plants. And native birds need those insects to feed their young. 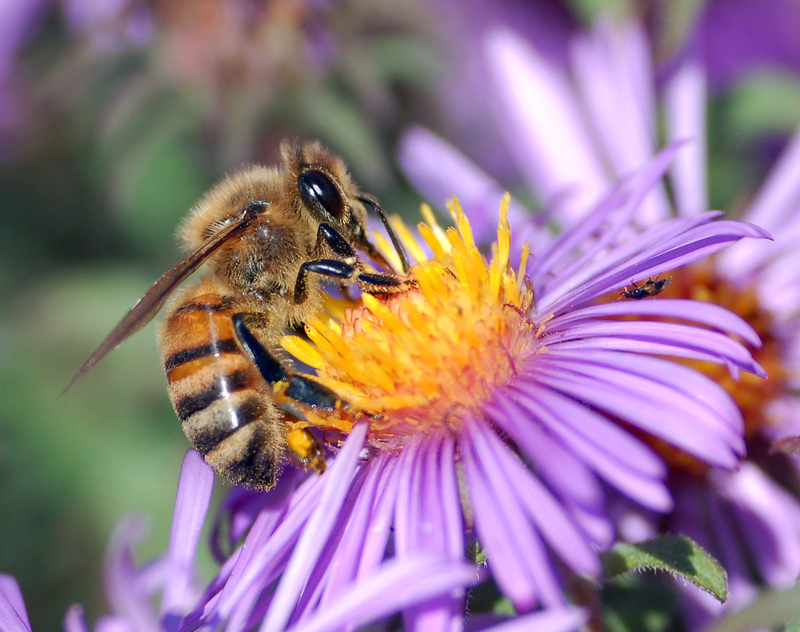 By choosing nectar and pollen-rich plants will attract wildlife. A series of blooming annuals, perennials and shrubs is best so nectar and pollen will continue to be available throughout the year. If you have a small yard you can still offer a planter with a few well-chosen species of plants. In order to protect pollinators, don’t use pesticides on open blossoms or when bees or other pollinators are present. Consider adding special feeders to help attract hummingbirds and butterflies. Bees, birds, and butterflies also need a water source. 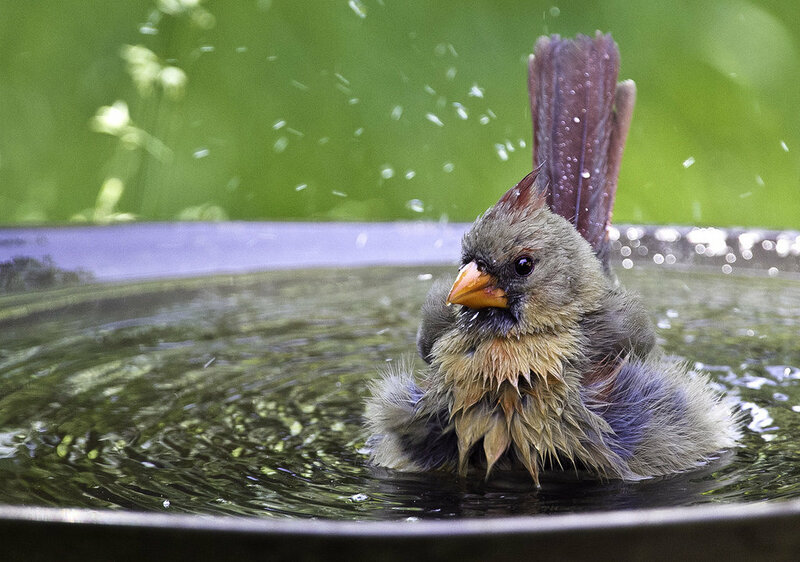 You can install a water garden or a bird bath that will serve as a watering hole and decor for your yard. Butterflies are attracted to muddy puddles and get necessary nutrients, as well as water. It’s officially the first day of summer. While you may enjoy summer, your plants and turf might not. In previous years, have you noticed your plants or turf suffering from the summer heat and drought? This year you can prevent the stress of summer for your plants or turf by applying Mirimichi Green’s Nutri-Kelp. Nutri-Kelp was developed by combining 100% cold processed Norwegian sea kelp, vitamins, enzymes, organics, and essential nutrients to resolve the soils nutrient deficiencies. Nutri-Kelp liquid fertilizer is less than 400 Dalton size (smallest on the market). This patent-pending nanotechnology optimizes absorption, growing stronger root systems, abundant produce, and richer foliage. Nutri-Kelp’s beneficial nutrients combined with potassium creates a powerful, proprietary formula that optimizes the pH level, protecting your plants and soil from the harmful exposure to heat and chemical extraction. For more information about application rates for Nutri-Kelp, click here. Click here to find out where you can purchase Nutri-Kelp at a distributor near you or visit Amazon. There are always weed seeds that lie dormant in the soil. The seeds are waiting for the sunshine to start to germinate or be awoken from a long slumber. To avoid awakening the weed seeds, don’t disturb the soil. Disturbing the soil includes tilling and cultivating. But that seems somewhat impossible when trying to plant new flowers, plants or grass. When planting flowers or plants, sow the seeds above the ground in a small mound of topsoil or compost. 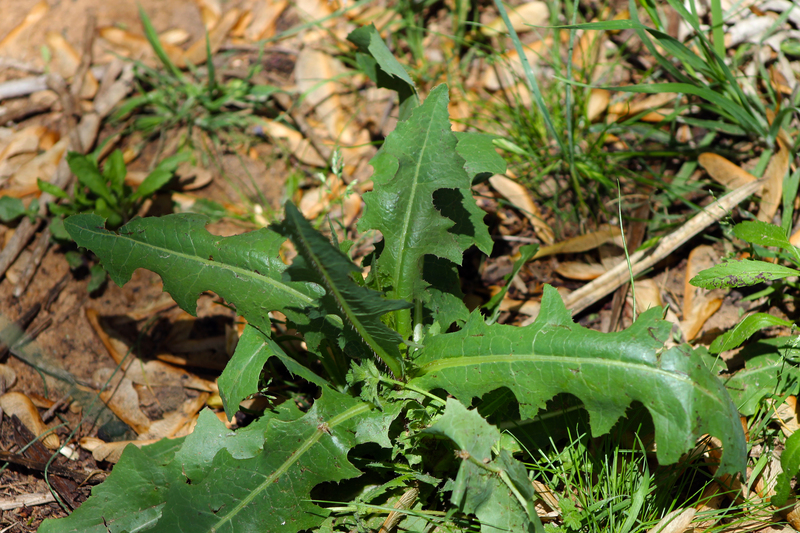 An effective way to prevent weeds is by using a pre-emergent herbicide that will stop weed seeds from ever germinating but won’t kill existing plants and grasses. The tricky part is determining when to apply a pre-emergent because it must be applied before the weed seeds have time to germinate underground. The best way to know when to apply a pre-emergent is to make note of the date when you see the first weeds in the yard or garden. Then, mark your calendar 3 weeks before that date for next spring and apply the pre-emergent then. You can also start from scratch by using a non-selective herbicide. This will kill whatever it sprays. It is also recommended to use organic options to prevent harmful synthetic build up in the soil. A great option is Mirimichi Green Weed Control. It is organic, OMRI listed and will show results in 24 hours. If there is healthy grass, weeds will have less room to grow in the lawn. To promote a healthy lawn, reseed bald patches and fertilize if a soil suffers from nutrient deficiencies. By maintaining a healthy lawn, fewer weeds will arise. Nutri-Turf has the ideal balance of nutrients for all grass types and will keep the lawn lush. Planting closely together will provide more shade to the soil below, which will prevent weed seeds from getting sunlight and allow less room for weeds to grow. You can usually reduce the recommended planting space on the packaging by about 25 percent. However, most spacing recommendations are based on the prediction that adjoining plants will not touch at their mature size, so follow the guidelines if you are planting plants that are prone to foliar diseases. Spreading an organic barrier around plants will submerge weed seeds and prevent light from starting germination all while keeping your plants cool. Organic barriers are best such as mulches. Mulches can host crickets and carabid beetles, which will feed on weed seeds. To create the organic barrier, spread mulch 2 to 4 inches deep around your plant bed. In order to know the importance of organic soil matter, it is necessary to understand what organic soil matter is. According to Cornell University’s Department of Crop and Soil Sciences, soil organic matter is the fraction of the soil that consists of plant or animal tissue in various stages of decomposition. Having organic soil matter incorporated into the soil profile offers many benefits. Organic soil matter increases the ability to hold nutrients, all while reducing leaching and fertilizer needs. The soil’s ability to hold nutrients is called cation exchange capacity (CEC) and every growing plant or grass needs the basic nutrients in the soil to survive and grow. Soil organic matter also increases available water capacity by aerating the soil structure and reduces compaction. Not having organic soil matter for sports field soil presents many issues. Sand-based fields that are unamended dry out quickly. A sand field without an organic amendment makes it difficult to for players and can contribute to injuries because it lacks cohesion. 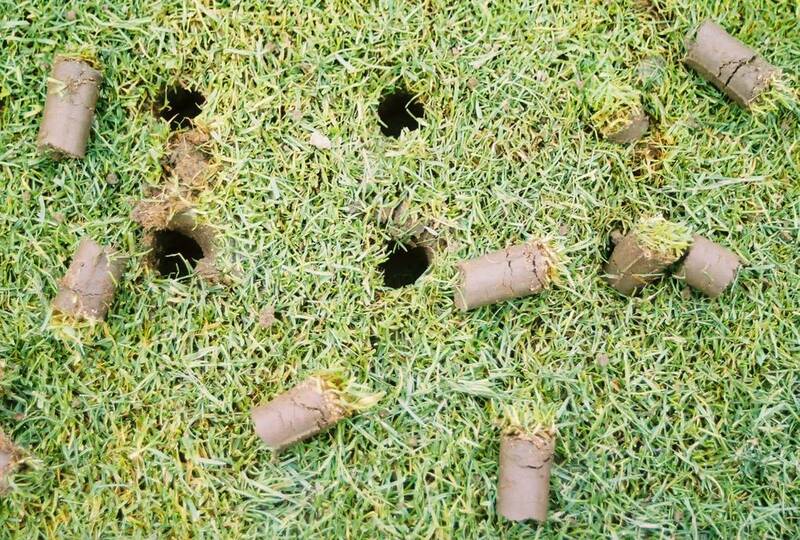 Large divots are often the result of sand fields with no organic matter incorporated. Non-sand-based fields can also benefit from organic matter because it gives proper structure to the soil which permits water drainage. Without organic soil matter, loamy and clay soils become extremely dense which causes plants or grass roots to not grow as deep. The more compact the soil is, the less aerated it is. Regardless of the type of soil, organic soil matter is necessary for successful plant or grass growth. An ideal organic soil amendment to add to any soil type is Mirimichi Green’s CarbonizPN Soil Enhancer. 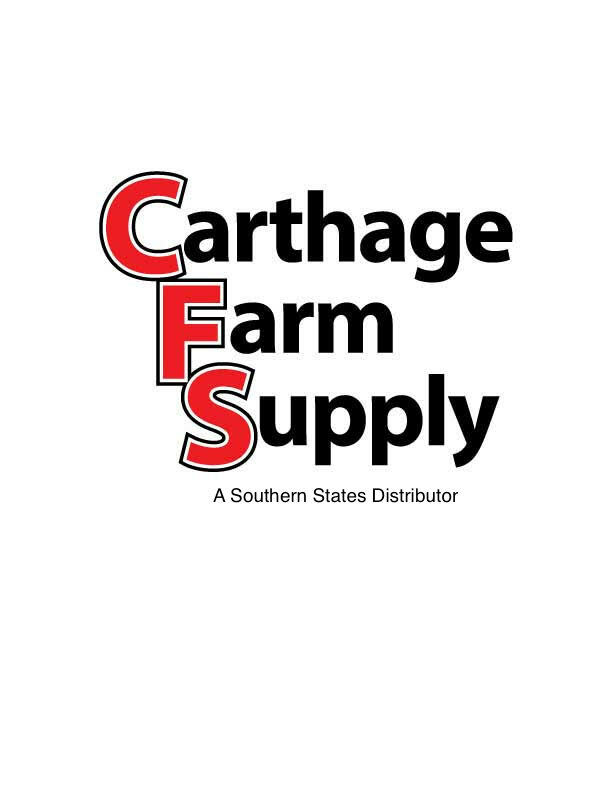 CarbonizPN Soil Enhancer is a professional blend of premium organics and USDA Certified Biobased Carbon that remains in the soil to increase fertility and water absorption while decreasing nutrient leaching. CarbonizPN reduces water, fertilizer and chemical input needs. The structure of the soil amendment helps to aerate the soil and reduces compaction. Due to the carbon in the product, it is able to optimize pH and increase nutrient uptake (CEC) all while being natural, sustainable and safe. Did you know that the name Mirimichi was chosen for its Native American meaning: “place of happy retreat”? Here at Mirimichi Green, we believe that happiness starts from the ground up. Mirimichi Green has picked the Top 10 Beautiful, Sustainable, and Eco-Friendly Landscapes. The list of landscapes below are just as beautiful as they are eco-friendly and sustainable because they use Mirimichi Green products. Broken Sound Club has taken a sustainable initiative to the golf industry. They have incorporated CarbonizPN, Nutri-Release, Nutri-Kelp and Nutri-Turf into their golf maintenance program. 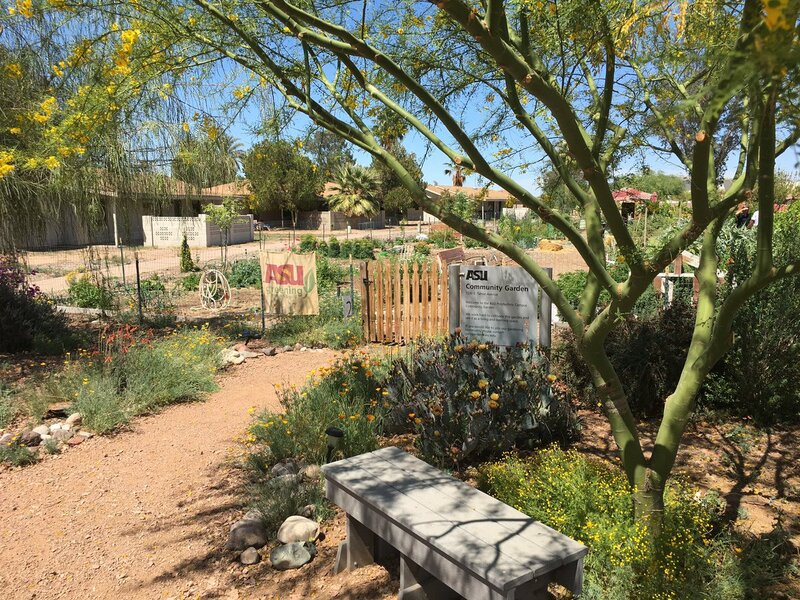 Arizona State University is all about giving back to the community with this community garden. Not only does the community benefit, but so does the garden. This garden is using CarbonizPN to enhance the soil. 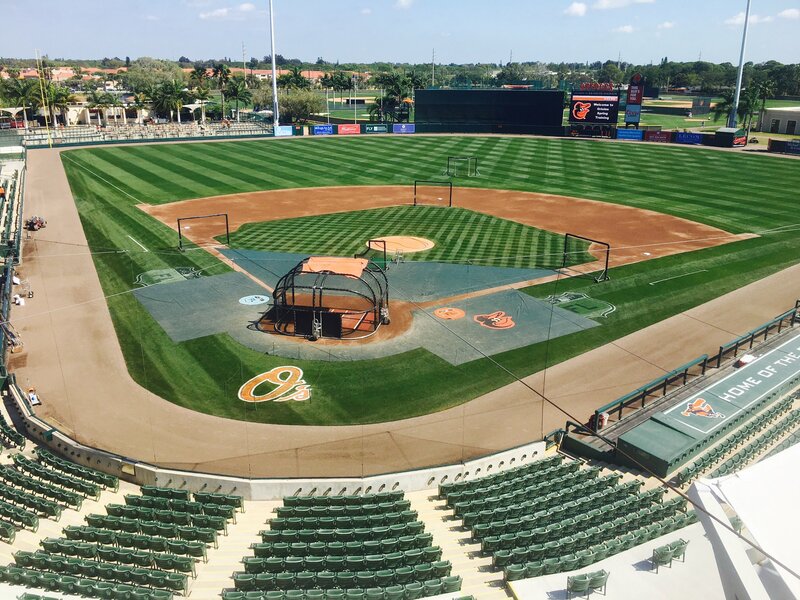 The Orioles grounds management crew hit a home run by incorporating CarbonizPN into their program. Not only do they have a great jump, but they have great turf too! Tryon International Equestrian Center (TIEC) blended CarbonizPN into their custom footing to grow deep roots and reduce compaction. TIEC also mixes Nutri-Release, Nutri-Kelp and Nutri-Turf to spray the cross country course and derby field with. Sandy soil has little to no nutrients and the Bahamas is no different. 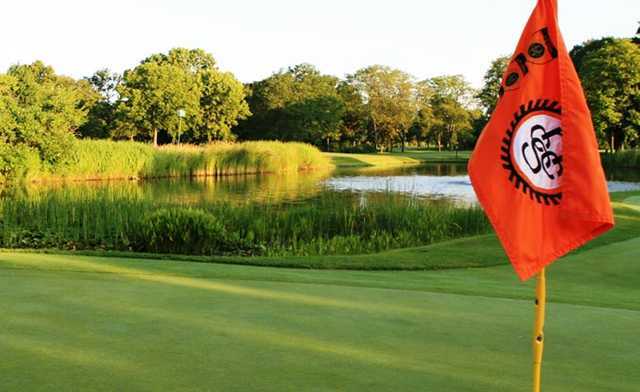 The Albany Golf Club uses Release 9-0-1 C to put carbon and other macro and micronutrients back into the soil to create a healthy soil profile. North Shore Country Club (NSCC) is mindful of its’ community and environment. 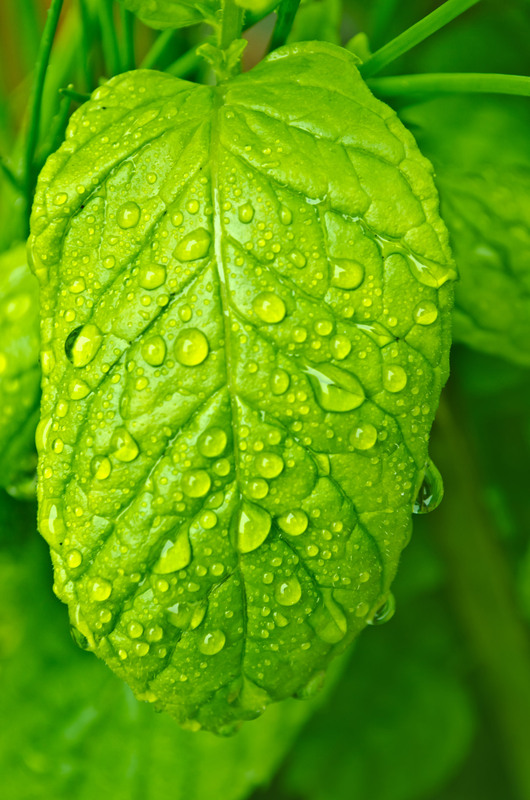 NSCC strives to use sustainable inputs and does so by using all of Mirimichi Green’s products. A prestigious university needs a prestigious campus. Not only does Duke University’s Wallace Wade Stadium apply Mirimichi Green’s CarbonizPN and Nutri-Release but the products are used throughout the school’s grounds too. 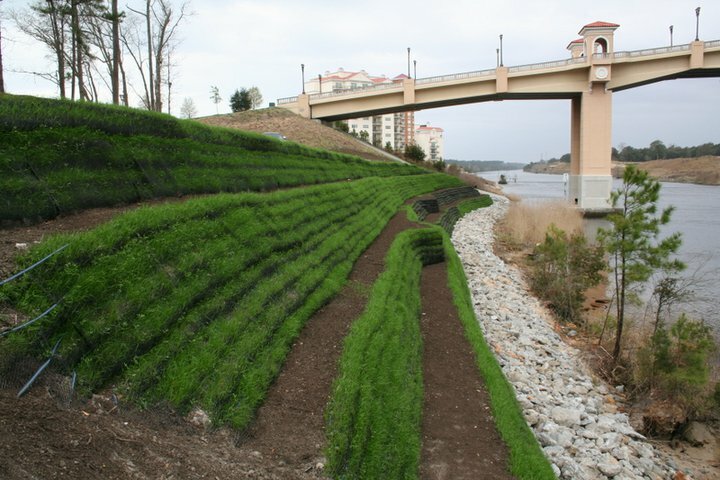 The Living Wall was created to help with erosion control issues at a new development site in Myrtle Beach. Grande Dunes incorporated CarbonizPN into the soil mix when the seed was applied. A luscious, vibrant living wall was the result. 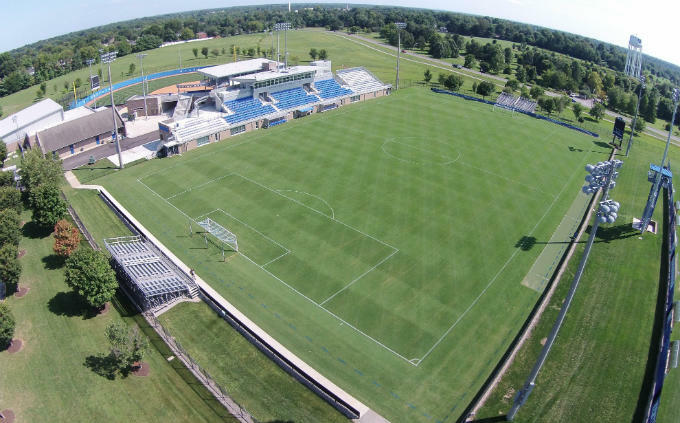 To minimize compaction issues on the University of Kentucky soccer field, the grounds crew topdressed the field with CarbonizPN. Now with carbon in the soil profile, the field is in its’ prime. What happens in Vegas, doesn’t have to stay in Vegas! 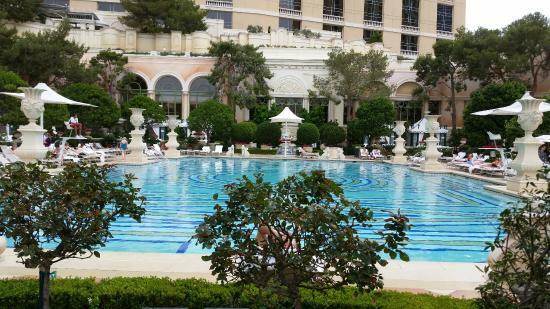 The Bellagio treated struggling trees on the property with Mirimichi Green’s Tree & Shrub, Nutri-Kelp and Nutri-Release. No matter what project or industry, Mirimichi Green products can and will make a sustainable difference resulting in a beautiful and eco-friendly landscape. But do you know when to aerate your lawn? Timing is vital for aeration. Your grass type will determine what time of year you should aerate your lawn. 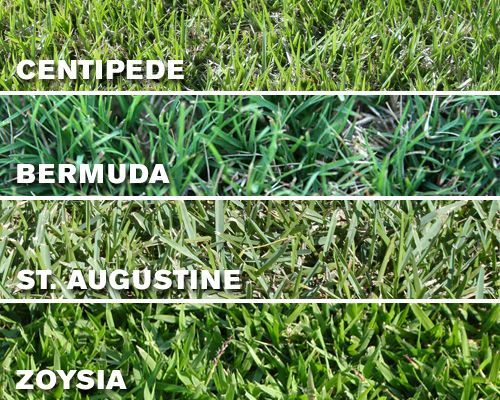 Lawn grasses fall into two categories: warm-season and cool-season. Warm-season grasses start active growth in summer. Cool-season grasses are dormant in the summer and begin growth in early fall. Now that you know when to aerate, now determine how often you should aerate based on your soil type. Different soil types require more frequent aeration. Clay soil tends to be very compact and should be aerated at least once a year. You can aerate a sandy lawn once a year or alternate years. In dry climates, aerating twice a year will promote turf growth and health. 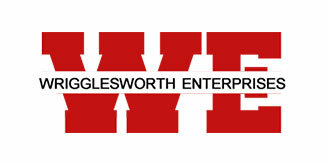 For more application rates, click here.